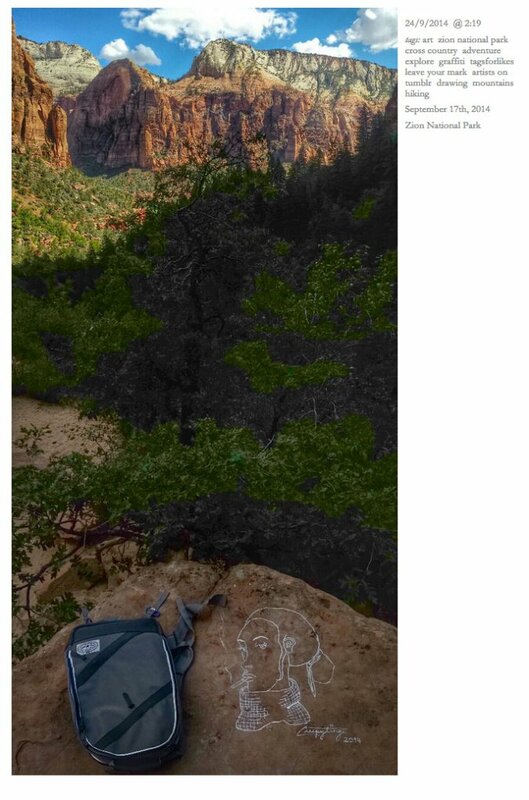 A woman by the name of Casey Nocket recently traveled from New York out west to deface some of our national parks with her crappy art, and then Instagram it. Nocket doesn't sound like the sharpest knife in the drawer given the fact that she was broadcasting her rampant vandalism and was fully aware that what she was doing was not allowed, as Modern Hiker reports. But now she's at least deleted her Instagram and is waiting quietly somewhere for a call from Parks Police. Did she think this made her some kind of amazing rebel artist? That is unclear. 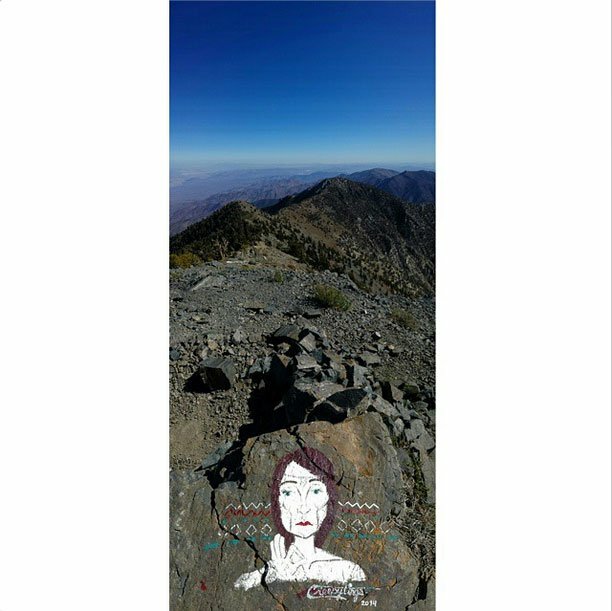 Nocket painted her works, which she refers to as graffiti art, in acrylic paint on various rocks and cliff faces in Yosemite National Park, Crater Lake National Park (Oregon), Grand Canyon National Park, Death Valley National Park, Sequoia & Kings Canyon National Parks, Joshua Tree National Park, and Zion National Park, even signing some of them with her Instagram handle "creepytings." 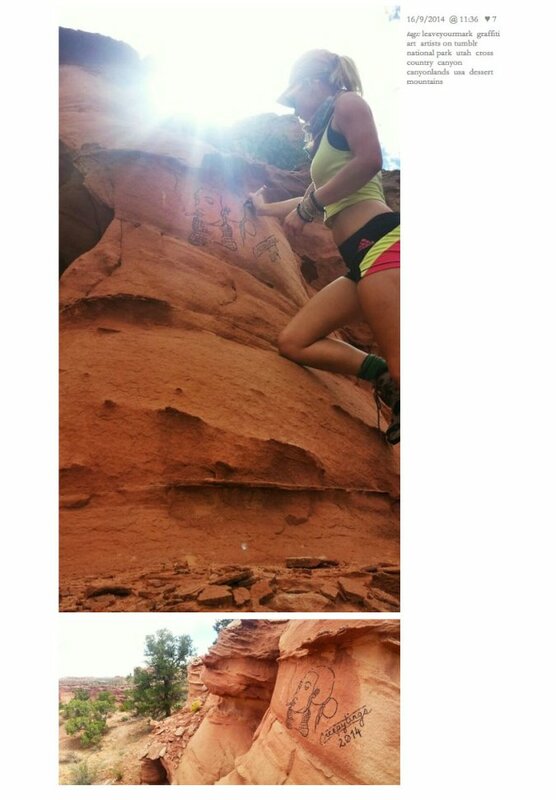 In one Instagram thread, she even acknowledged, "I know I'm a bad person." Apparently an investigator at Yosemite is on the case, as he told a Reddit forum, and will likely be nabbing Nocket soon, wherever she is. Also, the National Parks Service has put out a press release about the case, saying, "While we can’t discuss details of a case under investigation, we take the issue of vandalism seriously. National parks exist to preserve and protect our nation’s natural, cultural and historic heritage for both current and future generations. Vandalism is not only a violation of the law but it also damages and sometimes destroys often irreplaceable treasures that belong to all Americans." This girl is most definitely screwed. Thank you, social media. A few more of her terrible artworks below.